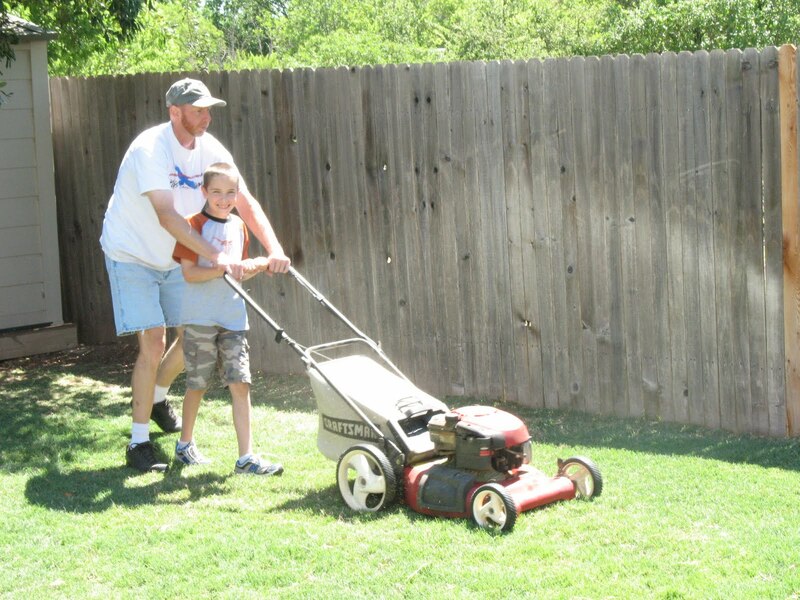 The first week of May, 2002, Rusty and I made our way to the doctor’s office for a very exciting visit. We were about to find out the gender of our first child. Let me be completely honest- both of us wanted a boy. And we both wanted a boy for the same reason. Neither of us had any idea what to do with a girl. As I have said before, I am the middle child and the other two were boys. I was interested in Star Wars and model trains and science, not make up and ribbons and dolls. The ways of women are to this day a bit mysterious to me. God, in His infinite wisdom granted me two daughters! Learning about girls has been a wonderful and delightful ride, not nearly as scary as I thought it would be. But also in His infinite wisdom, God broke me in to motherhood with my oldest child, a son, my Caleb. 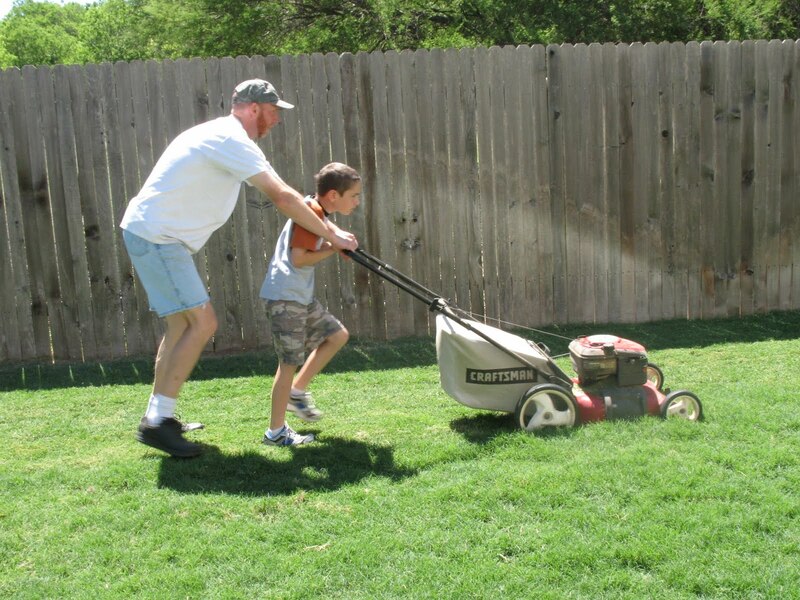 This is the summer that Rusty teaches his boy to start earning his keep.